Is Henry a viable option or an excuse not to buy? How will Henry fit into this Arsenal team? I was at the Emirates Cup as a guest of Arsenal Football Club and I had the chance to see Henry play against us. He played as the front man in a 4 5 1 formation and was not up to it. He was too slow and didn’t have the pace to chase down balls. All he was good at was keeping the ball and making intelligent passes. That was all. I then thought that may be he was in preseason or coming back from injury. He was that slow. None of those were true, unfortunately. In my opinion he is not good enough to start games. If he does then he will be slowing the game down and getting caught in possession. There may come a time when Wenger will want to rest RVP or replace him when he gets injured. He will then look to Henry. I hope I am proved wrong but he will not prove to be a viable option in my opinion. Can RVP and Henry play together? For this to happen then Henry will play at centre forward and RVP on the wing (to replace Gervinho). Alternatively the system will have to change to 4 4 2 or 4 4 1 1 with Henry behind RVP. Wenger will not change the system that’s for sure. That will disorientate the players who have been training hard in the past seasons to play 4 3 3. It will be pretty stupid to change the system for a month or so to accommodate a player. And to move RVP to the wing will of course be suicidal as you will then be removing your top hot scorer away from the firing line. So this option is ruled out. What’s left then? Wenger’s other option is to bring him on only as a sub. Remember Gervinho will be away for most of January and one would expect that Wenger may start with Arshavin (god help us) or my choice Chamberlain. So is Henry a viable option for Arsenal or an excuse not to buy? I think it id the latter. We need to get rid of the dead wood like Chamach and Arshavin (also Almunia, Denilson, Bendtner, Vela etc). Park doesn’t seem to be a Premier League player nor does Benayoun. And we desperately need to buy a viable alternative to RVP in case he gets injured or wants out (he has not signed a new deal remember). We also need at least one more wide midfield player. I doubt that Wenger will buy anyone. I call it as I see it. And I didn’t like what I saw developing before my eyes during the game against Wolves. Granted they are my second team that I support (due to family connections) but at the end I was left feeling very disappointed with Arsenal’s performance. Firstly the players’ attitude was completely wrong. I could see it right after we scored. They relaxed, started showboating (especially Song) and played like victory was already granted. Song had a shocker and was at fault for their equaliser, strolling out of the box like he was on an afternoon walk. Then there was Wenger’s team selection and substitutions. Wrong. It was wrong to start with Benayoun. When I saw his name in the starting 11 I cringed. He was not up to pace and I think he is not up to Premier League standard. It certainly looked like that during the game. He should have been substituted at half time. In terms of tactics he was also the wrong type of player to start the game on the right hand side of midfield. His inclusion unbalanced the Arsenal team as there was no outlet on the right wing, nor was there any penetration in the attacking positions from that side. He kept coming infield all the time congesting the space for the other midfielders. He did however make the pass which led to Gervinho’s goal, but as it proved, scoring a goal was not and never is enough to win you the game. You need 11 top players out there who are committed and on top of their game to achieve success and there were not many on top of their game last night. The right decision for me was to start with Oxlade Chamberlain. Why not? He would have at least provided the balance we needed and would have put the opposing defender much more under pressure. Then we come to the substitutions. What substitutions? Arshavin and Chamach are a disgrace. Arshavin is a parody of his former self. He can’t pass the ball nor can he shoot straight. All he did was come inside (rather than take his player on) and pass square. Thanks very much Andrei. Please take a hike back to Zenit St Petersburg. And Chamach is the best we have to bring on and change the game! Thanks a lot Mr Wenger…. At least Ramsey provided something extra when he came on. Now expect another very hard game against QPR. They will not roll over and surrender as some of our players may think they should. And I half expect that Mr Wenger will unleash Mr Park on us. God help us. I call it as I see it. And what I saw last night was not good enough. We had two major weaknesses which need to be corrected and soon. The first was the form of Ramsey. He has been below par recently and needs a rest. Last night he couldn’t provide the passes or the creativity that the team so obviously lacks. The team is crying out loud for someone to take the ball in midfield and drive the team forward. But he couldn’t provide it. As soon as Rosicky came on the whole style of play changed dramatically. We stopped playing passes sideways or to the opponents and held the ball much better. The result was that we put them under pressure and scored from our 11th corner of the match. I would like to see Rosicky given a chance in the creative midfield role in the next games. The second weakness was the odd decision to play Coquelin as right back. He was awful. He couldn’t keep his position or his man and ended up picking a yellow early on. His predicament was so obvious even his own players stopped passing the ball to him. The best option should be to play Miquel at left back and Koscienly at right back. Vermaelen should start in central defence. Arshavin was awful again. He should be sold in January. There are other players who deserve to come on as subs, like Benayoun, who will at least try unlike him who looks disinterested. Given the tremendous effort the players put in last Sunday against City with the inevitable fatigue coupled with having to carry two youngsters we did pretty well in the end. Now Djourou is out. And Song too. Can Wenger find adequate replacements and still maintain the same level of performance? The harder to replace of the two is Song in my opinion. He is the heart of the Arsenal team, a box to box midfielder who never stops running. He is also pivotal in the way Arsene Wenger’s teams play. The team is set up in a very attacking formation with the 4 3 3 sometimes turning into a 4 1 2 3 with additional support in the attack from the two full backs. There is only one defensive midfielder there and Song has been along with RVP our most influential player so far. His absence will be a big miss and whoever replaces him has a hard task to follow. The choice will be between Frimpong and Coquelin. I would go for the former as he has shown that he has the strength and power to replace Song like for like. On the other hand Coquelin has played really well when called upon especially in the defeat at Spurs. He has really improved this season and he provides a more creative option in the centre of midfield. Gibbs is out unfortunately. This leaves Squillaci and Miquel. I would have thought the choice between them was pretty obvious. Miquel played really well against City. He held his position effectively making important tackles. He wasn’t overawed by the occasion. The alternative is to play Squillaci in central defence and move Vermaelen at left back. I hope that Wenger does not fall for this. I really do. Squillaci played in the defeat at Olympiakos and he was auful. Playing him against Bent’s heading ability or Agbonlahor’s pace would be suicidal. If we play with the same determination and work rate as against City we should prevail. What a terrific game that was against Manchester City. We gave as good as we got but in the end it was just short. I say just because if we could have played with our full first team we would not have lost and probably have won that game. And everyone would have been talking us up as title contenders. The game was lost because our two full backs were not full backs. Djourou was awful on the right hand side and Walcott kept loosing the ball thus putting him under even more pressure. Most of City’s attacks came from that flank but they scored their goal from the other side and that was because Wenger moved Koscienly there from centre back. He was way out of position when the through ball to Balotteli went past him and Song, who got back to cover, was too tired to block his shot. There is another reason why were less effective in this game and it has to do with the full backs again. We lacked the width and the outlet in the attacking positions that our normal full backs usually give us. Sagna and Santos (or Gibbs) would have given Arsenal a more defensive nous and strength but also ‘balance’. The result of the game would, I am convinced, have been different. Even with these deficiencies our defensive performance was still very good. We don’t let in silly goals anymore, Szczesny (along with Friedle) is the best keeper in the Premier League, the wide attacking players track back consistently and the whole team defends as a unit when we loose the ball. This augurs very well for the near future for when Sagna and Gibbs return we will become a very stingy outfit. And when Wilshere returns then that little bit of creativity and steel that Ramsey is still lacking will make us quite a formidable unit. Our bench will need to be strengthened too. The two attacking subs were awful. I would have preferred Chamberlain instead of Arshavin. At least he would have been enthusiastic to do something. We really have to get rid of Arshavin and Chamakh in the January window and get in another centre forward. And we will be achieving great things again. I must say that I raised more than one eyebrow when the team sheet was announced in Athens last Tuesday. What on earth did possess Wenger to name Vermaelen AND Santos in the starting eleven when the game was absolutely irrelevant to where Arsenal would finish in the group?. Santos was the only available left back we had at the club! And he goes and plays him in Greece! Shocking decision…. Now we are facing a crisis for the next two to three weeks until Gibbs returns. What are the options then for the game against Everton? Wenger intends to play Vermaelen at left back. I really beg to disagree. Vermaelen should be kept at centre back. He has developed a very good understanding with Mertesacker and they complement each other perfectly as one is left and the other right sided. The quality of their performances as a central defensive pair have been very obvious for every one to see. I also think that Vermaelen is a top top central defender and he can cover for any of Mertesacker’s weaknesses much better than any other. If Vermaelen plays at left back then Koscienly will start in central defence. Don’t get me wrong. Koscienly has been in top form this season but I think the team will overall have a better balance with Vermaelen in central defence. For the first reason I would agree with Wenger. The team did look jaded. Tiredness was very apparent to me especially in the second half where some of the players’ energy did begin to fail them. One example was Song who was replaced in midfield by Diaby and also Ramsey who was not himself yesterday. The second reason I blame on Wenger. His team selection included Arshavin. He should never start a game again for Arsenal. He has lost his spark and with it his passing, goals coring but also his defending. He hardly tracks back leaving his defender always exposed. He should be sold in the January window. When Gervinho came in we looked far more penetrative. He should have started and we would have won the game in my opinion. Lastly, people are wrong to compare Arteta with Cesc. It’s Ramsey who has taken the Fabregas role but unfortunately he has his ups and downs. He will eventually be a top player but at the moment he is lacking. And with this the team is lacking creativeness and that spark that Wilshere gives us. The team needed some creativeness to break the Fulham defence but he did not provide it. Wilshere will when he returns and when that happens we will sweep the board. I remember when I had the chance about four years ago to watch Alex Song play against Manchester United at Old Trafford. He was then on Loan at Charlton Athletic when they were in the Premier League. I was astounded. I was extremely pleasantly surprised. Or rather than extremely pleasantly surprised its better to say ‘shocked’. He was man of the match. He controlled and dominated the central midfield areas on his own against the Man Utd midfielders. At Old Trafford of all places. It was then that I realised that we had a gem there that nobody outside the club really new about. I wrote as much in one of my blogs then and luckily I was not proved wrong. He was immense in the second half last night against Dortmund, improving on his average, for his standards, first half. He completely dominated that central midfield area, defended effectively in front of his back four, won nearly all his tackles, distributed the ball with ease and of course went forward like a seasoned attacking midfielder. He is often spoken as a defensive midfielder. He is nothing of the sort. He is a genuine box to box dynamo. He can tackle, he can pass short and long, he can head the ball, he can dribble with ease, he can provide the goal assists and he can score. What else do you want? He reminds me a lot of Bryan Robson the Manchester United midfielder who was one of England’s finest box to box midfielders. Alex Song was bought from Bastia in France for 1m pounds in 2006 after spending one season on loan to Arsenal. He is now 24 and I think he is worth at least 30m. When I first saw Santos play for Arsenal, I, as everyone noticed, spotted his attacking capabilities but at the same time cringed every time he had to defend. His attacking bias also takes him deep into the opponent’s half and if we loose the ball he is so exposed up the field that we have to defend that left side with either a centre back dragged out of position or Gervinho has to drop back. He is not that defensively minded player of course. All these weaknesses became very apparent at Chelsea and of course at Norwich. A large percentage of their attacks were instigated from that side. And I am sure opponents will now plan to attack Arsenal from that side of the pitch. With Sagna and Jenkinson out of action Konscienly had, in my opinion, a very good game against Norwich as a right back. He has improved no end recently and I do think that he will develop into a quality centre back for Arsenal. In fact he could keep that right back position now which would mean that our defence will improve no end. I have no doubt that Metesacker will get used to the PL but I am not sure about Santos. He has to curb his attacking instincts if he is to do that. Ok RVP deserves to get most of the plaudits for his all round performances and his goals. And well done Song for opting for RVP to pass the ball to instead of Gervinho who probably would have fluffed the chance, as he did with a few other chances against Norwich. But the real revelation in the Arsenal ranks recently has been Theo Walcott for me. With RVP it has been top quality performances since last season really. But with Theo he has really come to life now. He has managed to combine accuracy with his crosses along with his speed. He has also become more mature using his brain and his experience (he has after all played over 200 games so far). You could see it materialising to great effect in the friendlies for England but also for Arsenal. He is unstoppable and when he gets past his defender he delivers accurate crosses waiting to be converted into goals. He reminds me of Ronaldo when after a few years playing for Man Utd he suddenly started being accurate with his crosses and his goal assists shot through the roof. He then started scoring goals with ease. This is what is happening with Theo now and I predict that soon we will see him scoring bag loads of goals. And if RVP ever decides to leave then Theo will be ready to step up the plate. Nico Yennaris had his first team debut for Arsenal only recently in the League Cup against Bolton. He played at right back and had a pretty good game. But now that everyone has seen his potential he has a choice to make. Does he continue representing England in the U19s or does he opt to play for his parents countries. You see Nico has the “luxury” of being eligible to play for one of three countries. He was born in Leytonstone 18 years ago. His father is Cypriot and his mother Chinese. He has played for England’s U17s, 18s and 19s but according to the rules since he hasn’t played for the national team proper he can still switch. If he chooses to do so his chances for international cups will obviously increase as competition for the England national side is so much more intense. The Cypriot FA are now considering making an approach to the player and his father to gauge his intentions. If he is persuaded he is likely to be invited to join the Cypriot side as indeed another Cypriot Londoner who used to play for Leyton Orient, Jayson Demetriou, did a few years ago. He is now an established Cypriot international who played last week against Scotland in an international friendly. Write this name down. Joel Campbell. He will be a star and Arsene Wenger knows how to pick a youngster. Watch the goal he scored in Costa Rica's 2-2 draw with Spain. Everyone is still criticising Arsenal for their defensive frailties. They say that Mertesacker is slow and looks dodgy. That Santos is a kamikaze defender. That Jenkinson is too inexperienced. That Koscienly is error prone. That Szczesny is good but still a baby. Yes all those criticisms have of course a basis of fact. But even with those weaknesses so apparent we have managed to win eight of our last ten games! We are top of our CL group and almost certain to qualify. We now lie seventh in the Premier League only a few points off the CL places. And we turned Chelsea over away handing them five of the best. Firstly when we begin to correct those weaknesses. When Mertesacker gets used to his team mates and the PL. When Santos learns to restrict his attacking instincts. When Koscienly, as he has already shown lately, begins to show his real quality. When Jenkinson gets better the more he games he gets (and against Marseille he looked more accomplished to me). When Vermaelen, as he has shown against Marseille, adds more quality and more solidity to our defense. When Sagna returns. When Gibbs returns. But more importantly when Wilshere returns to add more creativity in midfield. We could even be challenging for top honours this season with this team. I used the same title after the defeat by Liverpool. And of course the same arguments made then in this blog came to haunt us. The most important is Wenger’s inability to buy during the summer window ESPECIALLY when he knew that both Cesc and Nasri will leave. A big mistake, a very big mistake. Now we are out of the title race and even if we make signings in these last few days it is probably too late to win anything this year. Who would want to come and join this Arsenal side? A side which has no ambition, is stuffed by very young players and gets stuffed for eight at Manchester United. This is Wenger’s biggest mistake. Not strengthening in the key positions that everyone can see we need help. Central defenders, midfielders (defensive and play making) as well as another striker. He is actually taking us for a ride I think. He never has the title as his major objective. It is fairly obvious by now. If he had he would have paid a few quid over the odds and taken those players we needed. But no he has to buy cheap and young and develop his own players. As I said before, this model may be economically viable but is not sustainable as far as us the fans are concerned. Next year RVP will want off and after that Wilshere and a few others as they realize like Cesc did and Nasri that by staying they will be wasting their time and their careers. I am sorry Mr Wenger but we want to win something and that is certainly not the Banker’s nor the new owner’s approval. The whole squad is in shambles. We are reduced to fielding in the starting 11 kids who have never played a league game before. The kids on the bench did not have to get permission from their parents to turn up at the Emirates as it was a lunch time kick off. We would have had trouble fielding the substitutes if the kick off was in the evening. And all this because Mr Wenger, knowing all along that Fabregas AND Nasri would be off this season failed to firstly get rid of them as early as June and secondly failed to bring in equivalent replacements BEFORE the season kicked off. Song gets himself sent off at Newcastle and Frimpong (who had a great game against Liverpool) gets himself sent off too! Who the hell will play the defensive midfielder role against Man Utd? Lansbury? Ramsey? Come on…. Diaby’s erratic form is well documented and of course out of action for a few weeks now due to an operation (with another 6 weeks to go). Shouldn’t Wenger have bought a defensive midfielder in the summer? Koscienly went off with a bad back. Who replaces him? Young Miguel who greatly assists Ramsey for his own goal. Djourou is out with a hamstring and Squillaci was not even on the bench against Liverpool. Arsenal’s central defensive problems were well documented last season. Shouldn’t Wenger have bought a central defender in the summer? Ramsey was abysmal, couldn’t get hold of the ball and couldn’t pass straight. He is too young to start. He cannot replace Fabregas that’s for sure. Shouldn’t Wenger have bought a midfield schemer in the summer? The whole squad is a shambles. Yes we did not dominate as much as we used to against teams like Udinese. They had more shots on target and really looked threatening whenever they went forward. I blame the midfield and Chamach. Rosicky is gone past his best a few years ago. He could not cope with the pace on a few occasions, did not dictate play and failed miserably in his defensive duties. Ramsey was god going forward but he also faded out of the game especially in the second half. His offensive play is his forte I think but defensively, like Rosicky, he failed to deliver. Song was trying to do two jobs at the same time. Destroy and set up. This is not on. I would have preferred Frimpong to have started than see our midfield being overrun time and time again. Chamach had a miserable night. What is wrong with him? Is he this bad or does he need a run of games to find his form? I hope it’s the latter though I doubt it. He could not get hold of the ball, couldn’t get into the box early enough and generally was below the pace. It meant that the ball was coming back into the midfield far too often and even then Rosicky and Ramsey were put under even more pressure. The one positive aspect to emerge from last night and also from the Newcastle game is the defensive performance of the team. Vermaelen has made all the difference I believe. He is very good in the air, on the ground and has the experience and nous to snuff out danger. Sczesney is acting like a 30 year old goalkeeper. He was supreme. Even with the absence of Gibbs and Djourou and young Jenkinson playing out of position we managed a “shut out”. I was impressed and if it carries on we will do much better this season than a lot of people think. It is a fact that Arsenal have contacted Jadson’s club Shakhtar Donetsk in order to acquire the player’s services. However Brazilian newspaper Globesporte.com reports that Arsenal’s interest had initially been flatly refused by the Ukrainian club. This didn’t stop the player’s agent, Marcelo Robalinho, from traveling to London and holding talks with Arsenal. He has now returned to the Ukraine on a mission to convince the club’s hierarchy to let Jadson go. The club believe that Jadson will be pivotal in their pursuit of local titles but more importantly in the Champions League, where his value could soar if he continues to improve at the same rate as he has recently. However speaking to the Ukrainian press today, Shakhtar’s Director Sergey Palkyn, said that he had not received Arsenal’s offer and that the most important factor to consider was the player’s wishes. "There are no proposals for Jadson and I have not heard anything about the fact that representatives of Arsenal came to Donetsk to negotiate a transfer of our football player"
- Are we ready to let him go? I do not see any problem if we and the football player will be satisfied with the proposal. The main thing is the desire of the player. If it is present, then we are ready to negotiate with any club. " Jadson himself is keen to come to Arsenal. He said on his tweeter page that fans could expect news on the transfer by the beginning of next week. What I want to know is why have Arsenal waited for so long to begin negotiations for a transfer when it was so obvious that Cesc was leaving some time ago. Hughton reveals why he put Scott Dann on the bench. Arsenal bid made. Chris Hughton is insisting that his decision not to start the season with Scott Dann was down to footballing reasons. Dann had missed the previous two warm-up matches because of a tight calf and Curtis Davies and Steven Caldwell started three of the four pre-season friendlies together as the centre-back pairing. However it was quite obvious that with Dann likely to be sold before the transfer window deadline, there was real reason why Hughton chose to promote new boy Caldwell, who will obviously be around for the duration of the campaign. But Hughton said it was not a case of overlooking someone to ‘protect’ a saleable asset. The real reason of course, as it transpires, is that a host of clubs have been looking at Dann seriously including Stoke who put in a joint bid for Dann and Jerome for 10m. They have now dropped out of the race realising that Dann is out of reach and look favourites to sign Jerome for 6m. Arsenal have put in a bid for 6m, according to local papers, after Pat Rice and chief scout Steve Rowley watched Dann in a training ground friendly against Tottenham on Tuesday. The transfer looks like it will go ahead. Wenger, after making the decision to get rid of Cesc and Nasri can now feel free to concentrate on strengthening the defence. Also Dann has two other characteristics that Wenger looks for (apart from football ability). He is young (24) and therefore has resale value and his price tag is relatively cheap which means that there is potentially a profit to be made in the future. What the hell am I talking about you may wonder. It looks very likely that Cesc’s transfer to Barca is now definitely on as reports from Spain indicate that the two sides have been in talks thrashing out a deal, which could be finalised as early as Friday. And Arsenal are now resigned to the sensible (financially speaking) decision to off load want away Nasri to Man City for what is very likely to be for an exorbitant amount of money for a player with only one year left on his contract. I consider the above very good news. Firstly, if both players had stayed they would have been reluctant players finding it difficult to raise themselves up for the on coming campaign. Proof of this was the slump in both players form during the second half of the season. They would have unavoidably infected the rest of the dressing room too with very predictable negative consequences on the performance of the team on the pitch. Secondly, a significant amount of money, around 55 to 60 million would find its way into the Arsenal coffers which may mean that Arsene can now, if he so wishes, go on to put significant bids for new players. And this may explain the reason why he has been somewhat inactive so far. The question is will he? It is now too late to get new players in to replace these two in time for the Champions League games against Udinese. So, and this is likely, will he and the Board decide to keep the money to tidy things over just in case of Champions League elimination…. 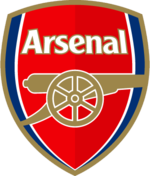 It’s only four days to go for the start of the Premier League campaign 2011/2012 and Arsene Wenger has failed to strengthen the squad in the key areas of central defence and central midfield. Firstly the on going saga of Nasri’s and Cesc’s possible transfers have taken so much time and effort by Wenger and his few aids that the most obvious area for strengthening the squad has been ignored. And there are only a few days left for the start of the season. You could say that the window does not close until the end of August. But we all know that most if not all English clubs will not part with their key defenders three weeks into the season will they? Nor will Mr Wenger want to have a new defender who has not come on board for the preseason, acclimatized and bonded with the rest of the players ready for the start of the League. Which brings me onto what I have been fearing all along. He bought two central defenders last season (Konscienly and Squillaci) to add to the two we already have (Djourou and Vermaelen). He is not about to admit that he bought wrong is he? He will hope that their initial year in the Premier League will make them much better defenders this season. So the end result is that we have our two best players disgruntled and pissed off while they have not “really” kicked a ball in the whole of the pre season. Certainly not ready to start a League game (in 4 days time). And if one of them (or both) eventually get their wish this season then who will replace them? Add to this the fact that we have only strengthened in the attacking positions with only one player who could be classified as experienced and ready to start. Chamberlain and Jenkinson certainly aren’t. My God what a shambles. But why do I still feel that we will surprise a lot of people this season? I was surprised to see Clichy on the bench for Man City in the Community Shield. I thought that it would look really silly from him having demanded a move from Arsenal to, in the end, forgo the first team choice status he had enjoyed at the Emirates. And then I realised what we will be missing this season. His indecisiveness and bad positioning! Did you notice, on the build up for Utd’s winning goal, how he stepped back from the ball beckoning Kompany to deal with it? He was the nearest to the ball that Rooney had hacked clear from his penalty box. Yet he opted to shy away from it forcing Kompany, who was further away from it, to unsuccessfully come for it. Bad positioning bad decision making. Two weaknesses which cost Arsenal dearly over and over again during his time with us. A prime example of this was the needless last minute penalty he gave away during that ill fated match at Birmingham where Eduardo was horribly injured and we tossed away two very valuable points in our challenge for the League title. I must say that Wenger has got hold of Arsenal’s transfer tactics this season by the horns and has reversed the general idea that was building up regarding the disintegration of the squad and its star players. Fitstly and most importantly he robustly told Nasri he is going nowhere and certainly not to a Premier League rival. That shut Nasri, Man Utd and Man City up right away. They realised that the Arsenal Board would back Wenger’s stand of loosing the player for nothing next year. This needed to be done to send a message to all the lurking suitors to back off not only from Nasri but from Fabregas too. Indeed it told Barca that if Arsenal were prepared to forgo 20m on Nasri’s sale who had only a year left on his contract then for Fabregas who had a few more years still left they will stick it out even more resolutely. Until the right price for Cesc was offered. When you think of it Cesc is only 24 with the experience of a 27 year old having played so many games at a high level and one of the best midfield players in the world. He is worth at least 40m. That is what Barca would have demanded if he was moving the other way. They have to cough up and that is the message that Arsenal are sending and Wenger shows that he means it. That’s good tactics. Mata’s transfer negotiations are advanced in case Barca do cough up. But it will only be pushed through if Cesc goes. It is also good tactics not to do it before because Barca’s offer for Cesc will inevitably be lowered. And at last Wenger has realised not that he needs central defenders (he bought two central defenders last season remember) but that he needs British or central defenders brought up in the British way of defending. However Jagielka who is first choice does not look like he will be the one. Everton will drag it till the end and demand exorbitant money for a 29 year old. Wenger will never buy a 29 year old for 15 m or more. This is not on. He will however consider Cahill for the same money who is a lot younger and thus has a resale value. His club want to sell him as they need the cash. He is also a good defender. So is Samba who is at the right age (27), is a no nonsense defender and wants to come to Arsenal. He is also a lot cheaper. We have seen it all seen it before. During the pre season Arsene signs a few unknown, usually French or French speaking, players with immense potential. During their debut season, they show that they are stars in the making but unfortunately the whole team implodes when the business part of the season descends upon them. I say the whole team because the rest of the players are mostly all foreign and young. And as soon as one of the players reaches maturity and actually achieves that star status that was predicted he wants off because he realises that he will probably miss out during his prime years on those trophies and titles that he feels he richly deserves. Fabregas and Nasri this year, van Persie will be next and Wilshere in a few years time. We also all know as well that what is needed for this squad to achieve anything is not only height as Mr Wenger seems to believe but British height and British experience. And these I feel are the important parts of the missing jigsaw. This is an English League and it is played in a slightly different way than on the continent. This is very evident in defence. You need a goalie who will be comfortable in coming for crosses especially from dead ball situations. Equally you need defenders who can get physical if required as well as deal with the high balls into the box. Sadly we have been missing all these. Midfielders too, both central and wide. They need to be tenacious in their tackling as well as be prepared to track back and help their full backs. Something that Nasri and Arshavin often failed to do last season. Brad Friedel is American but he has been playing in the Premier League for the last decade. His goalkeeping skills have been twigged to fit in and respond to the rigours of the highly demanding Premier league. Would not Sczezny benefit alongside a so experienced goalie as Friedel? Who being 40 would provide the experience, maturity and stability that a young goalie surely needs. Yet it is Redknap who has snapped him up not Arsene Wenger. This looks like another gross error that was committed a few years back when Edwin van de Sar was available and willing to join Arsenal from Fulham on a free!!!! That was in 2005. we haven’t won anything since 2005. In midfield Scott Parker looks to be on his way to Tottenham rather than Arsenal. Granted he is 30 but he has a few years left in him. Enough to provide that British steel that we need in our midfield. Yet once again Redknap is stealing a march on us. Our patience is running out. It is obvious what Arsenal need to make that step forward. But it is Redknap who is doing all the deals that Arsene Wenger should be…. Why is Redknap doing all the deals that Wenger should be? Arsene Wenger put out a weakened team against Wigan away right after that ground breaking win against Chelsea at the Emirates. The result was a draw after Squillaci put through his own net. Instead of playing his strongest team in order to capitalise on that marvelous win against one of the big four and keep the pressure on Manchester United he underestimated the opponents and dropped two very valuable points. This game at the Hawthorns was equally badly judged. It came after a horrendous three or so weeks where we failed to beat Sunderland at home, gave that goal to Birmingham to lose the Carling Cup final and capitulated to a rampant Barcelona with no shots on goal (even when one of our players attempted one he got sent off for it). Again his selections for that game which included two unfit players returning from injuries contributed to that dismal performance, the worst performance by an Arsenan team under Wenger (the second worse was the FA Cup final win against Manchester United in 2005). In all honesty a win at West Brom would have restored the very badly shaken moral that has been so obvious recently among the young Arsenal players. So one would have thought the manager would have played his strongest team. But what does he do? He starts in the heart of our midfield with Aaron Ramsey. Aaron Ramsey who has been out of Premier League action for 9 or so months and who only had handful of games for Notts Forest and Cardiff! Don’t get me wrong. Ramsey is an exceptional talent but to expect a 19 year old together with Wilshere, another 19 year old alongside a rusty, unreliable Denilson, (another youngster) to run your midfield in an away ground where your opponents are fighting for their survival with a hostile crowd behind them is amazingly incredulous and stretching our patience to the out most reaches of our ever diminishing universe of hope. And who made the mistake for the first goal? Ramsey not being match fit jumped before the ball arrived from the corner. Almunia failed to come for it and we are one nil down. Ramsey was ineffective throughout, could not make an impact and missed the easiest of opportunities to equalize. Enough said about him, it wasn’t his fault he was picked to start. Denilson was abysmall. He has been pretty awful every time he played this season. Why on earth did he start with him? Get Eboue in there and bring Nasri in the middle to provide the creativity that Cesc will eventually bring when he returns. And start with Bendtner on the wing from the beginning for Christ’s sake. The international break is coming to our aid, fortunately. Cesc and Walcott are due to return and Djourou and Cszesney will get closer to their comebacks. Manchester United will drop points that’s for sure. They are not playing well and their coming titanic battles with Chelsea are bound to weaken them. But Wenger has to get his act together. Get some moral back to the players for f****s sake. It was I think Harold Wilson, the Labour leader and Prime Minister back in the 60’s and 70’s that coined the phrase: “A week is a long time in politics”. And the same is so very true of the world of football. You’ve all had a very difficult 15 days. The last minute defeat in the Carling Cup Final, Champions League elimination and now the defeat at Manchester United in the FA Cup. The only game where one can say that you were truly beaten was at the hands of the best team in the world, Barcelona. A team that you matched and beat at the Emirates in that epic first leg. A victory that made everyone all over the globe put Arsenal Football Club up there as one of the best teams in the world. Do you think that Manchester United or Chelsea would have escaped the Neu Camp without a comprehensive drubbing? They would have certainly been handed a severe beating. Your performance at Old Trafford suffered due to low moral and fatigue, coming so soon after the game at Barcelona. Yet without playing at your best you still created enough chances to have won the game. It’s no coincidence that man of the match was Edwin van der Sar! If it weren’t for his fantastic saves a different story would have unfolded. You now have an opportunity to write history for Arsenal Football Club. Only three points behind in the League and with one game in hand. You have a week to rest your weary legs and more significantly, your souls. Regroup, dust yourselves off and get going again. You owe it to Arsenal Football Club, the manager, the fans and to your selves. Manchester United are still involved in the FA Cup and the Champions League and their long list of fixtures are bound to take their toll. The League title is there for the taking. Win the next game at West Brom and the title race is back on again. The last 15 days will then be forgotten. Granted, the Barcelona we saw last night were from another planet. But Arsene Wenger’s choices of personnel were proved ill advised and aggravated what was already a very difficult football game for Arsenal. Firstly to play Fabregas and van Persie when both were so obviously unfit substantially reduced the effectiveness of the whole team. Cesc who tweaked his hamstring again was unable to offer that important outlet from defence to attack. He could not hold the ball at all nor find van Persie or even Nasri up front. This meant that young Wilshere was left pretty much alone to carry out this function something he performed admirably under very difficult conditions. This boy will be a truly world class player in a few years. Van Persie was another disappointment. He was unable to hold the ball in the few occasions he was provided it. He also lost his cool, probably out of frustration, and got booked which eventually led to his crazy dismissal. And if this wasn’t enough the decision to start with Rosicky was also wrong in my opinion. He has been below par all this season and was unable to provide adequate defensive cover for Sagna nor an outlet for Sagna to pass the ball to. The absence of Walcott proved a major weakness for Arsenal. Not only Rosicky proved inadequate but the very significant outlet of chipping the ball over the Barca hunting packs to the speed machine that is Walcott was not available. This had troubled them in the previous encounters between the two teams and also relieved the defence of the continuous pressure that they found themselves. Alas this was not available. Better to have played Bendtner there who has the physical presence to hold off opponents and to physically defend the space. He would have been much more effective than Rosicky. I was impressed once again, though, by Djourou and Koscienly. They are both improving game by game and under difficult circumstances performed quite well. I don’t think that we need to buy any more central defenders especially with a fit Vermaelen around. I don’t mind the defeat. It’s the manner with which this came about. I need say no more. The important thing is that moral has to be restored and quickly because the Premier League title is there for the taking. Can the players find the mental strength to do it? It’s up to you Mr Wenger. When he lifted his Arsenal shirt he revealed another T shirt underneath which had the logo of his own cloths brand "Andrei Arshavin." In this picture he does actually have his finger at his lips! Andrei has obviously not been receiving good advice as he probably will find himself in trouble with the authorities. This sort of commercial promotion is of course not allowed and he could potentially receive a caution from UEFA. Lionel Messi himself, not so long ago, received a retroactive yellow card from the Spain FA when his T shirt underneath said "Happy Birthday, Mom!" Andrei launched his own clothes brand in St. Petersburg in June last year. He developed the idea of creating his own brand as he fought against counterfeited goods being sold under his name. Arshavin said that he hoped to further expand the range of goods being produced under his brand in the future, but added that no alcohol or cigarettes would be produced in his name. The designs are casual style and include three lines — children’s clothing, young fashion and classic clothing for men. The logo for the new brand features a black-and-white silhouette of Arshavin holding his forefinger to his lips — the gesture that the soccer player makes when celebrating his goals. Andrei is known of course to have a double life as a designer of women’s clothes. He comes from a working-class family in St Petersburg and enrolled in the St Petersburg State University of Technology and Design aged 17, originally studying chemical technology, but taking up sewing because of the number of women on the course. He showed a flair for design and began making clothes. A number of his early pieces are held in the institute’s museum. Every one has been writing us off against Barcelona. Ever since the draw has been made no one, apart from the fanatical core of Arsenal supporters, has been giving us a chance of going through. • Manuel Almunia: I think that Szczesny is a better goalkeeper than Almunia. Granted Almunia was not really at fault for their goals in the second leg but the young boy is capable of turning in a performance if required. • Bacary Sagna: no change here when compared to last year. • Thomas Vermaelen: A fit Vermaelen would have been a great plus for Arsenal. We are a bit minus here when compared to Koscienly. 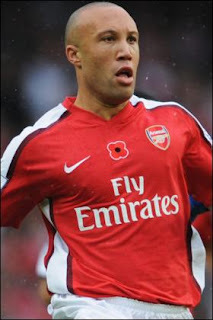 • Mikael Silvestre: Need I say no more? Djourou, our player of the season for me so far. A definite plus here. • Gael Clichy: He is an improved player this season after an indifferent last season. • Abou Diaby: He is out of this tie but Song who did not play in the return leg is a box to box dynamo who can look after Messi and Co much better than Diaby or Denilson did last time. • Samir Nasri: If he is fit and plays then we will have a very potent forward line but otherwise Arshavin, who didn’t start in the second leg, is finding his form again. • Theo Walcott: Theo has improved no end this season where he has managed to add nous to his unbelievable pace. • Nicklas Bendtner: He was our front man last time out and scored but with Robin van Persie in the team we look a different proposition…. The big changes this time are Song, Fabregas, Wilshere, Djourou and van Persie. They replace Denilson, Diaby, Silvestre, Bendtner and Rosicky. Don't tell me that these are not massive changes. So overall we are a team which is more experienced, balanced and brimming with quality. If Arsenal go through, then the big psychological impact on the players could propel them to Premier League success. The impact will be phenomenal. But if we fail to qualify we still gain really because expectations have not been that high anyway and we will be able to concentrate on the league. Unlike Man Utd who will, if they go through, have to play those midweek matches which take a toll on the players. I keep telling you, Arsenal are in a win win situation…. At last some positive news on the injury front. 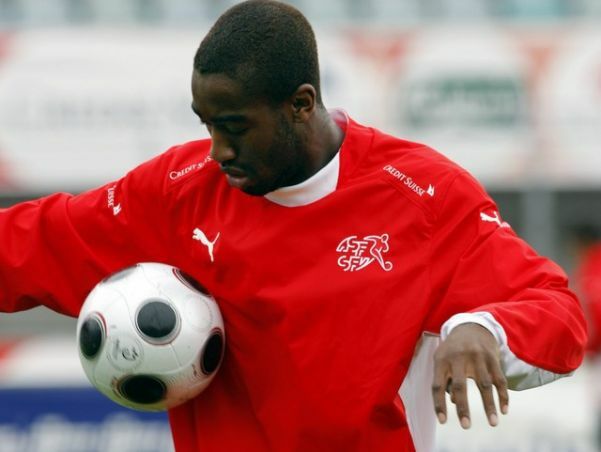 Johan Djourou has suffered only a bruising on his knee and not a damaged cartilage as at first feared. The swelling had made it difficult to make a proper diagnosis the Swiss FA national team doctor Cuno Wetzel said. Djourou is expected to be back within seven days. The first medical studies have shown that Djourou is injured on the knee cap, not a cartilage damage in his knee which has recently been operated there. "The player has but a very painful bruise near the knee”. "If the healing process is normal, Djourou is probably less than one week away of beginning training" Wetzel predicted. “Djourou is a very important player for us. We have seen in his comeback in November 2010 in Geneva against the Ukraine how important he is for the team. He's back very well, plays very high, and when during the dead ball situations he ventures into the opposing penalty area the defenders pay particular attention to this 1.90-m giant and this may bring space and benefits for other players of our team. " I couldn’t agree more with Mr Hitzfeld. Johan has been one of the reasons why Arsenal are challenging for the title this season. He has been immense at the heart of our defense both on the ground and more importantly in the air. What has happened to Andrei Arshavin? I was very excited when we finally signed Arshavin. We needed a player of his type. A winger who could run at defences at speed but with the experience and nous to out fox them and more importantly score the goals. And he did not disappoint. He has until the start of this season been terrorizing defenders putting in some scintillating performances, notably against Liverpool. But alas all this has somehow now filtered out. I noticed this decline in all the pre season games. He looked out of touch, out of pace and uninterested. And he has carried on almost like this in the league and Cup games. I was wondering during the pre season. Is he loosing it? Is he getting too old? He is almost 30. I am still wondering. But I have my doubts. Players these days go way beyond this age. It is obvious that he is unsettled somehow. His wife may have decided that it is too cold in London….He may be longing to go back to Russia (his old club Zenit are showing interest) or even in Italy (Juventus have been mentioned). Who knows. Wenger is stuck in two minds. He needs a fit and interested Arshavin even if Walcott has now improved greatly and starts games. You do after all need two players for each position and who else can play the role of a pure winger in Arsenal’s squad? Rosicky? Bendtner? Vela? Eboue? No contest really when Arshavin is interested. Yet to be given a chance to recover a large part of the large transfer fee (some say 17 m) splashed out a few years ago, for a player who is near 30, may be a temptingly sound financial transaction. Wenger is sensibly opting for the first option hoping that when the January transfer window closes in 10 days or so Arshavin will realise that he is going nowhere until the summer. And then he will revert to his scintillating best, released form the uncertainty of making a move now but more importantly to impress his future employers that he has still got it. And Arsenal will get the best out of him in the run in for the title. In the end it was a much easier win than any one could have imagined. As I wrote prior to the match we needed to score more than one goal and/or play Djourou. Both happened and it was a pleasure to be able to really enjoy an Arsenal game with both feet up without getting too nervous. I feel so much secure when Djourou is in the starting eleven. I have been going on about him, I know, but I do really feel that he has been a revelation this year. He is big, tall and is defending very well. When Vermaelen returns they will be a perfect partnership which will provide the defensive security which can propel us to the title. He is getting back to match fitness now and the more he does that the more effective he becomes. He needs a few more games to get to his best but like Cesc even at his second best he is a very effective player. He also combines well with Cesc and Nasri which adds to the overall team built up and performance. Chamakh is more of a front target man whereas van Persie often drops back to get involved in the play.